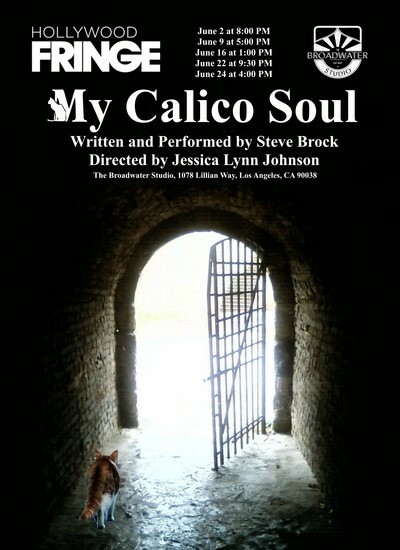 MY CALICO SOUL is a one man show written & performed by Steve Brock with Direction by Jessica Lynn Johnson. A calico is a cat that is mostly white with spots of browns and sometimes blacks. Sometimes a soul can feel the same way. My Calico Soul is a journey of taking all the labels that get thrust upon us or even give to ourselves and fully embracing them including bisexuality.